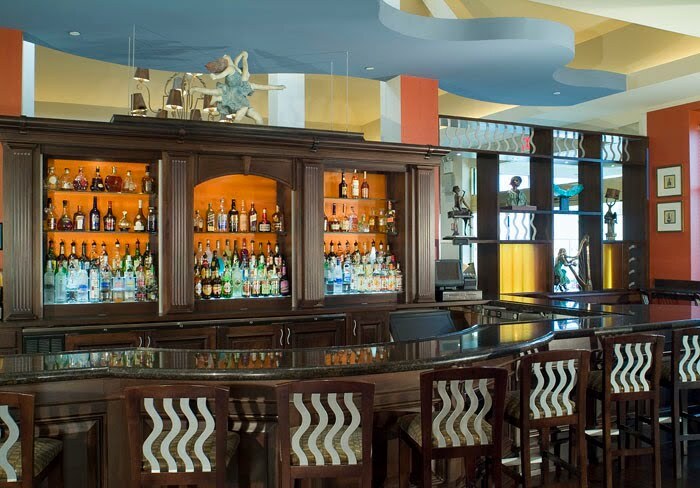 The use of this 3form glass as a backdrop for this stylish bar in Lorenzo's Restaurant, Bar & Cabaret in the Hilton Garden Inn Staten Island is a dramatic use of reused materials. 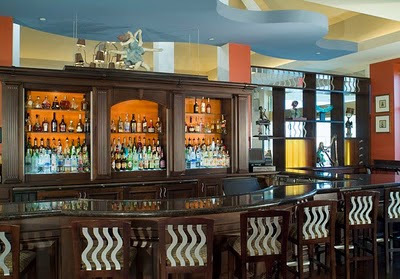 The amber coloring gives the spirits behind the bar a glow and the panels to the left help the eye focus on the interesting art that surrounds the bar. We like using 3form because of their aggressive goal to minimize the impact of both products and process. That's big picture green.